Here it is, our first…er…zeroth episode. 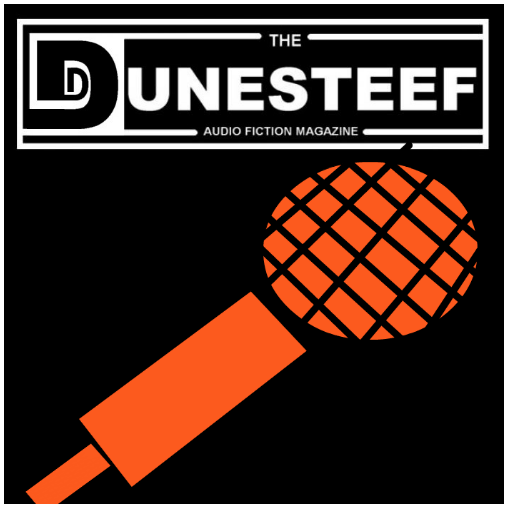 In it, Rish Outfield and Big Anklevich give you a little preview of what you can expect from The Dunesteef Audio Fiction Magazine. We apologize for the quality of the audio in this first offering. There are some strange audio issues, but as a whole there’s no big problem. We have already diagnosed the problem, and our future podcasts should not have any audio issues at all. Please stick with us and check out our first story next week. Thanks. This entry was posted on July 2, 2008 at 12:41 am and is filed under First Episode. You can follow any responses to this entry through the RSS 2.0 feed. You can leave a response, or trackback from your own site.